If you have an old ear horn of a hearing aid, it’s time to upgrade it. The question is, should I do it today, or should I wait? Your hearing aids seem like they still work, right? Can you believe those hearing aids are more than 10 years old? Outdated hearing aids will probably be better than none, but what’s the actual cost of not upgrading. We have made countless major developments in hearing aid technology in last few years. We’ve changed from analog to digital, to begin with, and there are functions now that weren’t yet in the design phase 10 years ago. 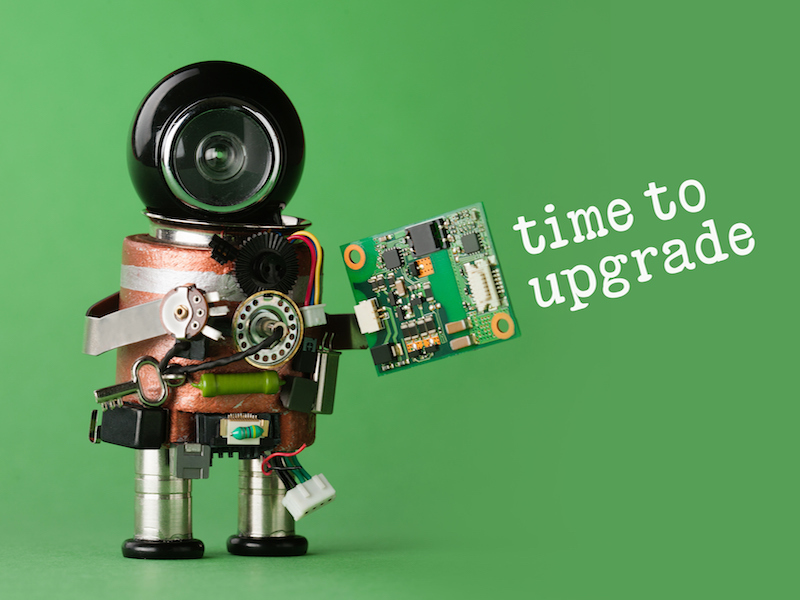 It’s definitely time to start thinking about an upgrade. Consider some reasons why. There is an irritating buzz you can hear occasionally with older or cheaper hearing aids. It’s not much fun when you go close to a phone and your outdated hearing aids begin to feedback. Then for no apparent reason at all, it begins to make noises. “What now”? It’s not that unusual for you to sit by yourself and miss the stimulating discussion. How about that time when your hearing aids wouldn’t stop quitting while your grandson was singing a little song he practiced at school. You just pretended that you heard it but you didn’t. Old hearing aids come with all of these Problems. The focus 10 years ago was on raising the volume. Today, hearing aids accomplish awesome tasks like filtering out background noise. So say goodbye to that air conditioner noise. That fan was actually not as loud as those old hearing aids made it seem. One consideration when you are buying new hearing aids is certainly the cost. Wearing old dated hearing aids won’t be any cheaper than buying new ones in the long run. Analog devices need new batteries regularly. When you are replacing the battery on a daily basis, or even more often than that, the cost adds up. Don’t forget the service costs with older outdated technology. Think about having to deal with an old car or truck. Repairs are costly if your hearing aid is in the repair shop more than it’s in your ear. Hearing loss will most certainly result in a smaller pay scale according to studies. Who couldn’t use an asset to their career? Better hearing aids are that asset. You will be able to hear your boss and customers better. No more stress over whether you missed important information, or whether your hearing aids will quit at the worst time. And we all know that quality communication is the foundation of quality living. No more getting caught in the middle of discussions that you can’t even hear. Jump in and connect with the people around you. Did You Know How Cool The Newer Hearing Aids Are? How do you really feel when you see yourself in the mirror with those outdated hearing aids on? Awkward? Noticeable? Oh my god? One of the most noticeable advantages that come with replacing those old hearing aids is stylishness and flexibility. Current hearing aids come in a wide array of shapes, sizes, and colors. If you would like to make a fashion statement, choose a custom color, or maybe pick out one that is invisible in the ear. Your hearing has changed. you’re not hearing as well as you used to even with the hearing aid in your ear. Your lifestyle has changed, and your hearing aid has a hard time keeping up. It’s annoying to remove it just to talk on the phone, or maybe you’ve switched jobs and now you have to manage more background noise. Your hearing aid won’t stop cutting out. It’s just not reliable anymore, and that’s a problem. You are changing the batteries constantly. Modern hearing aids are much more energy efficient and have rechargeable batteries.